On a day that was notably short of Wimbledon's usual razzmatazz, it fell to the same old figures to provide the glamour at SW19. First, Serena Williams played her part with a straight-sets victory over Kristina Mladenovic, and then Roger Federer ran through his trusted playbook of crowd-pleasers and teasers in a typically showy dismissal of his latest victim. Federer's 6-3, 7-5, 6-2 filleting of Jan-Lennard Struff was delivered with all the pomp and style that Centre Court had come to see. A good thing, too, as it gave a high-profile sheen to an otherwise low-key order of play. Even the most cursory of glances at Friday's fixture list would have revealed how dramatically lopsided the Wimbledon draw has become. There was Federer, sure, and the two Williams sisters. Beyond that, though, the more casual observers would have struggled to pick out many recognisable names. The concern will be that the scarcity of A-listers provided a worrying glimpse of a not-so-distant future. So much has been made of the efforts to find a new generation of stars to replace the so-called Big Four, but here was proof that, when it comes to mass appeal, tennis is still lacking in depth. This is especially the case on the men's side, where a combination of injuries, seedings and shock defeats had robbed yesterday's order of play of so much of its glamour. The pickings were strikingly slim all across the All England Club. On Court 1, the showpiece men's game was due to feature Milos Raonic and the little-known Dennis Novak, the world No 171. The presence of Federer provides enough glitz to keep things ticking over. He was up to his usual tricks against Struff, prompting the same gasps from the crowd and playing the same scintillating tennis as ever. Struff, the world No 64, was a minor nuisance with his powerful serve. He was not, though, in the same sporting stratosphere as Federer, and he never came close to a genuine challenge. 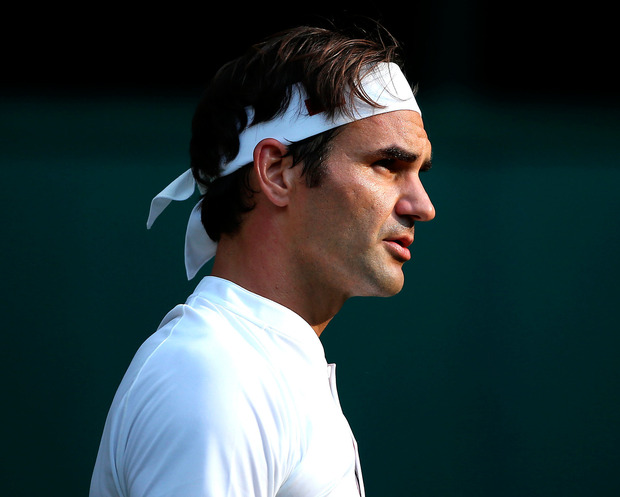 Federer cruised and schmoozed through all three sets (the third of which was the 29th consecutive set he has won at Wimbledon) and, for now at least, he succeeded in diverting thoughts away from what might happen when he is gone.